Today I’m not the Queen of Juicy, I’ve decided to join the darker side and become the Pirate Princess of Exile. I’m loving these made up titles for myself!! It’s like Game of ThroneSL. House JUICY? House EXILE? Where are my alliances! How do you really feel about gacha? 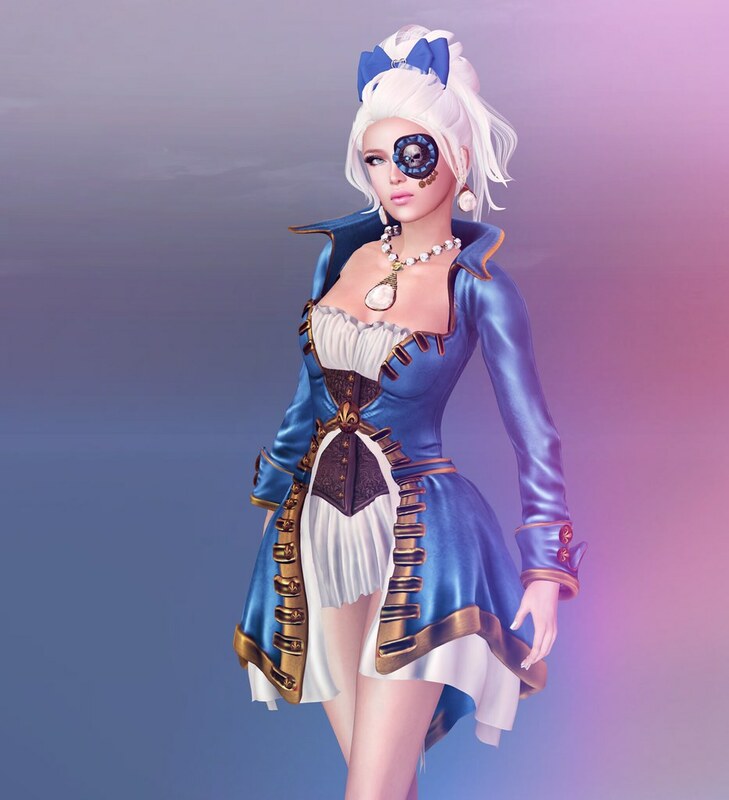 I would have loved to buy the complete Pirate Wench dress from Alchemy in Red but of course that was a rare, and I didn’t get it. I was lucky to even get this one dress, and a pile of mismatched eye-patches and hats. I’m alright with Sky Blue, so I paired it with the Adored Bow from SpellBound that I picked up earlier this week. It was probably better that I didn’t get the hat in my dress color, since I don’t really know how I would fit hair under it. That’s my gacha adventure for today…. Arrrrrr! Also a big thank you to people who said they liked that I’m blogging more. I’m really happy that you’re still reading my blog, even though it has become somewhat of a #selfies place. I always stop by just never comment. you asked about gacha, they are addicting needless to say, but I wish that the creators offered the entire package at a price…for those who don’t have as much spending money as others and who don’t like to waste and collect inventory. hello gogo. I managed after over a k of lindens to get two of the pirate captain outfits in purple and two of the wench complete outfits, with various hats and eye patches. I just had to have them. I placed the picture on my blog. I always look forward to your blogs. I wore Magika’s shine hair with my purple pirate captain outfit. Also, Ploom had a very nice hair there called…ARH…which has a nice piece of cloth around the forehead. Just say No to Gacha! I too just want to be able to acquire the things without the hassle/annoyance of Gacha. As for fitting hair under hats, that’s why you need a chignon or two.